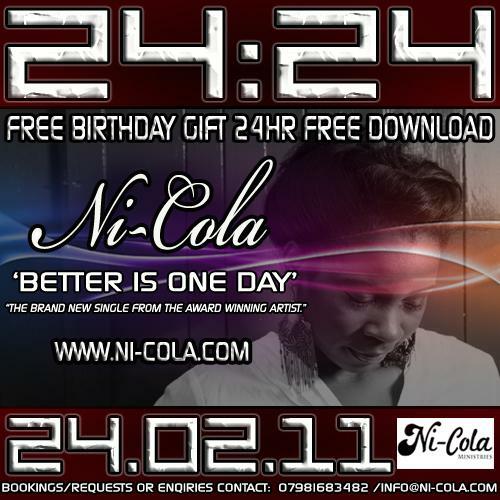 Be sure to get online on 24th February because for a very limited time, you’ll be able to get your hands on the new Ni-Cola single. She’ll be putting her new track Better is One Day on her website for free download but it’ll just be there for 24 hours. After that, it will be become a paid for track available from the download sites. Move quickly if you want to get the single for free and before general release.